The 7th International Forum for Sustainable Asia and the Pacific (ISAP) was held in Yokohama on 28–29 July 2015. Two months ahead of the landmark United Nations Summit to adopt the post-2015 development agenda in New York (25–27 September 2015), and four months ahead of the COP21 Paris Climate Conference (7–8 December 2015), ISAP provided a floor for international experts, government officials and members of civil society to engage in in-depth discussions about concrete steps for achieving the SDGs as well as the post-2020 framework for combating global warming, among others. The event was co-organized by UNU-IAS and the Institute for Global Environmental Strategies (IGES). 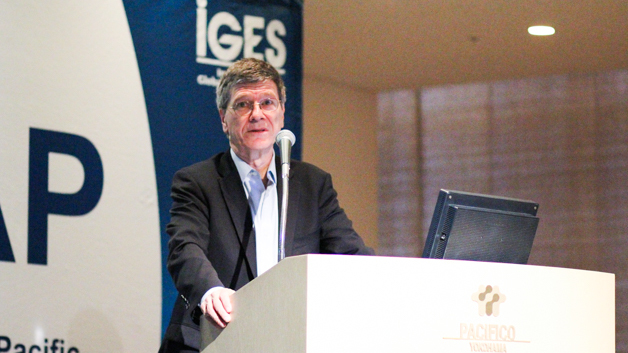 As one of several prominent speakers at ISAP, Jeffrey Sachs (Professor, Colombia University; Special Adviser to UN Secretary-General on the Millennium Development Goals) provided a strong argument for boosting efforts to achieve “a socially inclusive and environmentally sustainable economic development”. While sceptics often consider meeting environmental goals to be difficult, Sachs emphasized the urgency to engage in a “deep de-carbonization”. To limit global warming to 2 degrees Celsius, it is imperative to eliminate CO2 emissions completely by 2070, he said, adding that this will need to be done through “introduction of zero-carbon electricity, energy efficiency and electrification of buildings and transport”. 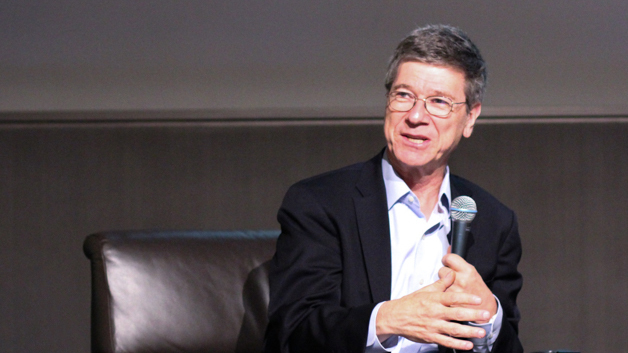 Talking to a predominantly Asian audience, Sachs stressed that the North-East Asian region, which includes Japan, the Republic of Korea and China, not only has the largest regional economy and patenting zone, but also has the potential to become a powerhouse for technological innovation that is much needed for solving many of the problems of sustainable development. During the Q&A session, Sachs was prompted to respond to a recent opinion in the Economist, which suggested that the fulfilment of SDGs — estimated to cost approximately 4% of global GDP — is not feasible. Sachs retorted, stating that if sustainable development could be achieved with only 4% of our income, “it would be the biggest bargain on the planet”. He further argued that the debate over the SDGs can no longer remain one of economic profit; it calls for a problem-solving mindset based on ethics. Another prerequisite for achieving sustainable development is SDG-oriented governance. Sachs stressed the importance of careful planning and a government strategy that is aligned with the private sector and civil society. These strategies should include technological innovation, infrastructure, corporate investment, public pricing, research and development. A “new ecosystem of partners”, as Sachs called it, must emerge not for economic profit but for a shared commitment to a fair, socially inclusive and environmentally sustainable future. At the end of the session, Sachs — who is also the Director of the global Sustainable Development Solutions Network (SDSN) — was invited to lead the launching ceremony of SDSN Japan. The Forum then continued with sessions on diverse but interlinked issues, such as national readiness to implement SDGs in Asia, low-carbon technology cooperation in Asia, Satoyama and sustainable development, waste management, sustainable consumption and production, and other.